It’s called “SuperPark” for a reason; it is massive! 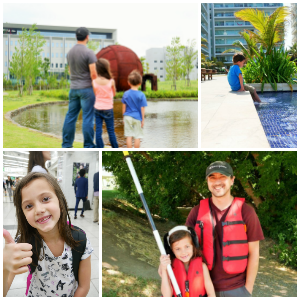 I have covered many cool things to see and so in Malaysia, but SuperPark should definitely be at the top of your families list for Kuala Lumpur. It’s tucked away on the 4th floor of the Avenue K mall just across from Suria and the Petronas Towers. 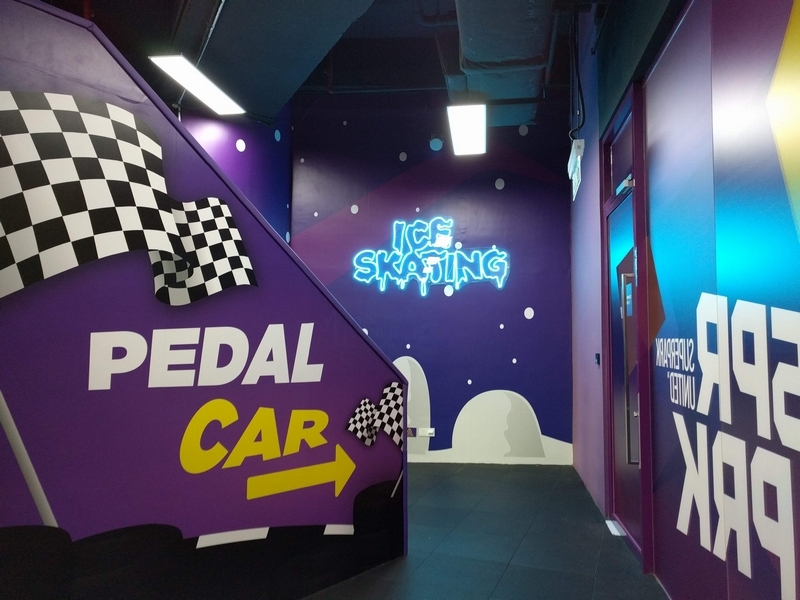 It takes up two whole floors and boasts an ice skating rink, sledding hill, zip line, batting cages and more! This is not just for the kiddos as it has many activities that the adults can join in on and activities you can do as a family as well. Consider your day at SuperPark Malaysia a family fun day! You can book an after 6pm session for 3 hours or morning and afternoon sessions for 4 hours, but I would honestly recommend booking whole day tickets so you can get the most out of your time at the park. This gives you access from 9am-9pm. Once at SuperPark you will purchase grip socks that must be worn to keep you standing upright while in the park. One of my favorite things about SuperPark Malaysia is that it really is for any age. They have so many activities that you will be able to find many things for any age group. Smaller children even have their own trampoline area just for them. My daughter is a huge basketball fan and loved the SuperHoop arena where she could put her skills to the test trying to make as many shots as possible. I loved the SuperBall game where we divided into teams trying to hit the board behind the other team. It was so much fun to play a really active game together as a family. SuperPark Malaysia would also be great for friends or as a teambuilding exercise. 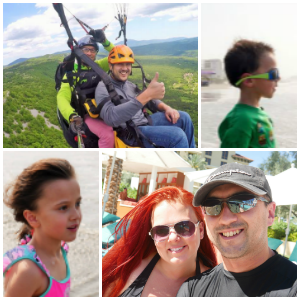 A real treat for our kids were the ice skating, zip line, and ninja course. These aren’t activities you get access to every day so it was really fun to be able to do these. 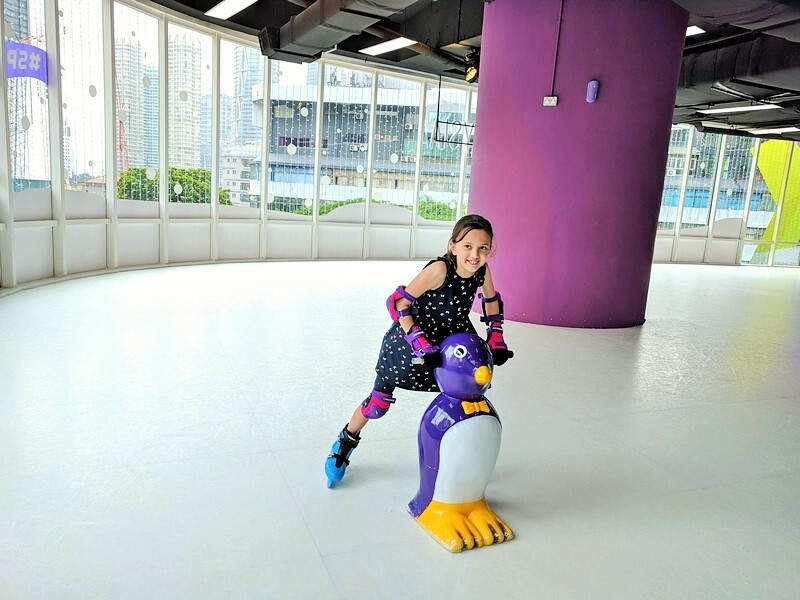 My daughter has never tried ice skating so she was really excited to give it a go! It’s an experience she will never forget. If you have a rock climbing fan in your family you will not be disappointed at SuperPark Malaysia. 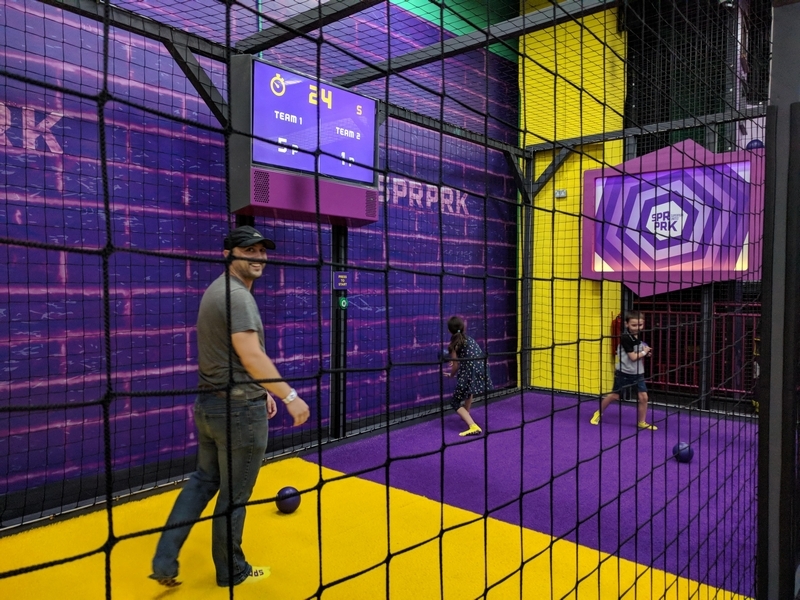 You can choose from several walls; one of which sits over a foam pit and another that simulates games to play with a friend at the same time. As a family you can race each other around a track with the cool pedal cars. You can also test your football (or soccer) skills with the Robo Keeper. This robo goalkeeper can block almost any shot so you have to be fast and have the skills to beat him. SuperPark Malaysia makes everything fun even moving between floors. Kids can skip the boring stairs and use the two floor slide and kids climbing area to switch between the two levels. As our travels have taken us around the world we have experienced many activity parks, but none quite like SuperPark Malaysia. This is a SuperPark to beat all other parks and one that you and your family will never forget. Head over here to plan your trip to SuperPark Malaysia.